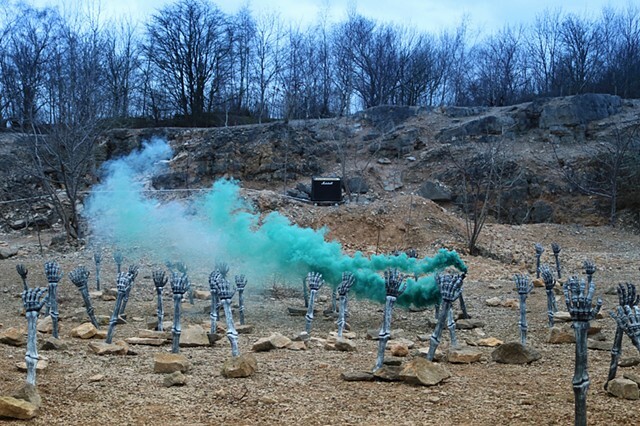 The Bones of Breakheart Quarry is a video installation made for Skeletons, Stories and Social Bodies, a three day interdisciplinary conference hosted by the Department of Archaeology and the Centre for Learning Anatomical Sciences at the University of Southampton. 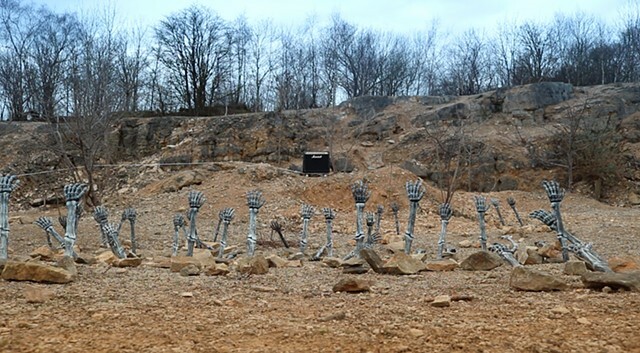 Set in Breakheart Quarry (Dursley, UK), the film depicts the arms of buried skeletons are raising up from the ground in response to the sound of a single Marshal amplifier. 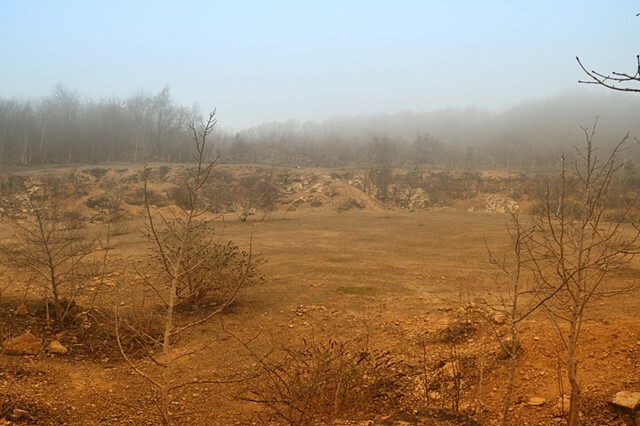 Breakheart Quarry is owned by the UK Nuclear Decommissioning Agency and appears like an alien landscape, populated with silver birch trees, ancient layers of cotswold stones and red twigged bushes. The work plays on the theatricality of prop plastic bones from Hammer Horror movies, and the fabricated images of mass numbers of the undead coming back to life. 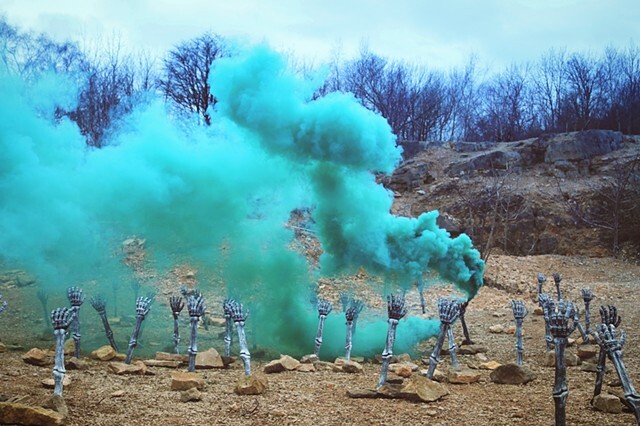 The skeleton arms, suggest at the animation of a site mysteriously trapped in an unspecified nuclear past as an absurd ecology of bones and rock, soundtracked by Slayer’s Skeletons of Society. 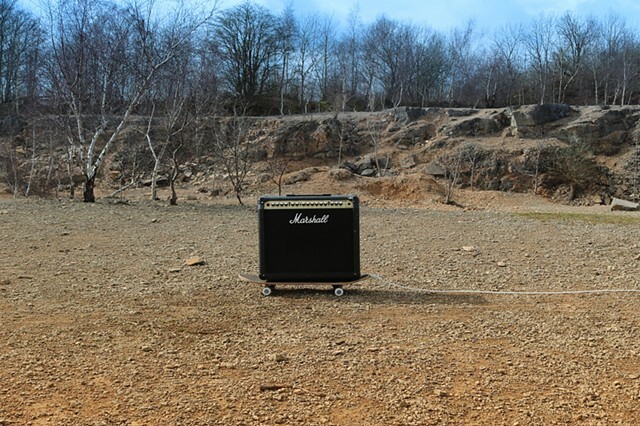 Screen based video installation (varying dimensions), including amp stand and headphones. 3 minute (repeated loop). 2017.